D Ty Wishart (Prince George, Moose Jaw, 2004-08) has signed a one-year contract with Dynamo Pardubice (Czech Republic, Extraliga). This season, he had five goals and six assists in 49 games with Banská Bystrica (Slovakia, Extraliga). F Aaron Luchuk broke a 3-3 tie at 5:07 of the third period as the host Windsor Spitfires won the 99th Memorial Cup with a 4-3 victory over the OHL-champion Erie Otters on Sunday night. . . . This was the best game of what had been a rather mundane tournament. . . . The Spitfires, who won the tournament for the third time in nine years, ran the table in the four-team tournament, going 4-0. . . . The Otters wound up 3-2. . . . Also in the tournament were the QMJHL-champion Saint John Sea Dogs, who went 1-2 in the round-robin and then lost 6-3 to Erie in the semifinal game, and the WHL-champion Seattle Thunderbirds (0-3). . . .
Erie held 2-1 and 3-2 leads during the championship game. . . . Windsor F Jeremy Bracco, who finished with a goal and two assists, opened the scoring, on a PP, at 16:07 with his third goal of the event. . . . Erie F Dylan Strome tied it 49 seconds later. He finished with seven goals, one shy of the tournament record. . . . Erie took the lead at 5:35 of the second period, on a PP, when the puck hit F Warren Foegele (2) in the left skate and bounced into the net. The goal call was confirmed after video review, although many observers were left wondering exactly what constitutes a distinct kicking motion. . . . Windsor pulled even 52 seconds later when D Logan Stanley scored his first goal. . . . Erie went back out front at 12:41 as F TJ Fergus, the son of former NHL F Tom Fergus, scored his first goal. . . . The Spitfires tied it again, at 14:53, on another PP goal, this one from F Graham Knott (3). . . . That set the stage for Luchuk’s winner, which was set up by Bracco. . . . Windsor got two assists from each of F Gabriel Vilardi and Logan Brown. . . . Strome added an assist to his goal. . . . Both goalies had great games. . . . Michael DiPietro stopped 32 shots to record the victory over Troy Timpano, who made 18 saves. . . . Windsor was 2-4 on the PP; Erie was 1-4. . . . Announced attendance: 6,519, the tournament’s first sellout in the WFCU Centre, which has a capacity of 6,500. It also was the first sellout of the 2016-17 season in the facility. . . . Steve Papp, who works in the WHL, was one of the game’s two referees. The other was the OHL’s Darcy Burchell. . . .
Strome and F Taylor Raddysh of Erie led the tournament with 11 points each. . . . Strome also led in goals (7), while teammate Alex DeBrincat had a tournament-high eight assists. . . . DiPietro finished 4-0, 2.00, .932. . . . Windsor’s Rocky Thompson is the first head coach to win a Memorial Cup without having won a playoff series. . . . The Spitfires lost out to the London Knights in Game 7 of a first-round playoff series and then were off for 44 days before the tournament opened. . . . The last host team to win the Memorial Cup? The QMJHL’s Shawinigan Cataractes, in 2012. All told, 10 host teams have won it all since the format was adopted in 1983. . . . The 2018 Memorial Cup tournament, which will celebrate 100 years, is scheduled to be held in Regina with the WHL’s Pats as the host team. . . . Erie played in its 95th game of the season on Sunday, while Windsor was playing No. 79. . . . The OHL now has won three straight Memorial Cups. . . . Windsor joins the Cornwall Royals and Kamloops Blazers atop the list, each with three Memorial Cup championships since the round-robin format began. . . . The New Westminster Bruins/Kamloops franchise won five titles. . . . Warren Rychel, the Spitfires’ general manager, has won three championships, tying Matt Leyden (Oshawa Generals, 1939, 1940, 1944) and Bob Brown (Kamloops, 1992, 1994, 1995). . . . Rychel is expected to leave the Spitfires for a spot in the front office of the NHL’s Colorado Avalanche. Terry Koshan of the Toronto Sun has a game story right here. Windsor was OHL's 5th-best, lost 1st round, won Mem Cup as host. These embarrassments will stop when CHL stops treating event as cash grab. Wish people would stop complaining about @MCMemorialCup format. Is it perfect?..No..but just enjoy the event for the showcase & event it is. Every year, it seems, the Memorial Cup format comes under fire once the tournament has concluded. When the host team wins, which is what happened on Sunday when the Windsor Spitfires did just that, well, the flames seem to be just a little bit hotter. But, really, is there a better way to decide a Memorial Cup champion than under the present format? Ideally, it would be decided the way it was back in the day — with the eastern and western champions meeting in a best-of-seven series. 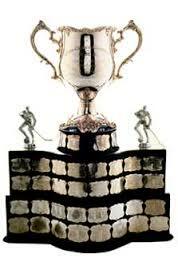 There also was a time (1972-82) when the Memorial Cup was decided in a three-team format without a host team. How do you think the 2017 event would have been received had it featured the Erie Otters, Saint John Sea Dogs and Seattle Thunderbirds in Windsor? Having a host team allows an organizing committee to turn the tournament into a 10-day festival of sorts. Knowing where the tournament will be well in advance also means fans are able to book vacations and make plans to attend. The one thing the 2017 tournament did was provide more evidence that junior hockey has lost its way to a certain degree. When it comes to ticket pricing, junior hockey needs to realize that it’s just that — junior hockey. Even with the Spitfires playing well and going 3-0 in the round-robin, the only game in Windsor that sold out was the final one. It will be interesting to see how the Regina organizing committee and the CHL price tickets for the 2018 tournament in the Brandt Centre, which has a capacity of 6,484. As we prepare for Regina, maybe the thing to do is come to the realization that the Memorial Cup doesn’t mean what it once did. Winning a league championship in the OHL, QMJHL or WHL is what it’s all about; winning a Memorial Cup is gravy, but it’s not the end of the world if a team gets there and comes up short. While we’re at it, let’s take Memorial Cup week — or Memorial Cup 10 days — for what it is, a celebration of hockey, a time to enjoy being around other hockey people, fans and media (or what’s left of the media), and have a good time. Now . . . about those ticket prices. 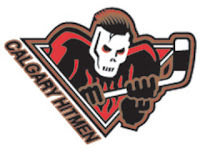 The Calgary Hitmen are in the market for a head coach. signed on as head coach of the Fribourg-Gottéron Dragons of Switzerland’s National League A.
Rumblings about that possibility surfaced early this month with reports from Europe that French was to be interviewed by the Dragons. Under French, the Hitmen went 117-80-19, qualifying for the playoffs each season. This season, Calgary was 30-32-10, grabbing the Eastern Conference’s second of two wild-card spots, before being swept by the Regina Pats in a first-round playoff series. The Hitmen had signed French to what the club said was a “multi-year extension” on June 20. French, who is from Milton, Ont., had joined the Hitmen after being head coach of Medveščak Zagreb in the KHL. He also was to have been an assistant coach with the U-18 Canadian team that will play in the Ivan Hlinka Memorial tournament in August. There now are two WHL teams without a head coach, the other being the Spokane Chiefs. Former Kelowna Rockets coach Dan Lambert, who was fired last week by the NHL’s Buffalo Sabres as head coach of their AHL affiliate, the Rochester Americans, has been rumoured to be in the mix in Spokane. 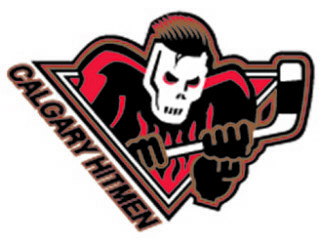 The Hitmen also are looking for a general manager, having promoted Mike Moore to vice-president and alternate governor on May 15. Moore is acting as general manager until a successor is found. Moore, who has been with the Hitmen for 10 seasons, had been Calgary’s GM through the past four seasons.